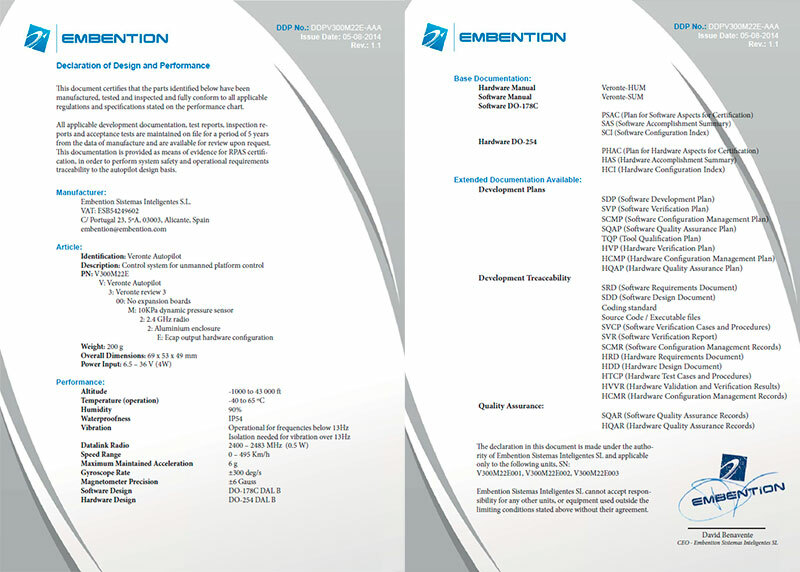 Embention is a pioneer in the field of unmanned navigation devices for certified systems. Veronte Autopilot is the core of the first RPAS issued with a type certificate in Europe, in a triple redundant version of the control system. The company is in the unmanned vehicle and autonomous navigation industry since 2007. At that time there were no regulation for controlling the use of unmanned vehicles but now it has already been regulated in most countries. Over the years Embention has been continuously following the new regulations arising and supporting customers worldwide to obtain their respective system certificates and permits to fly. Our services cover not only the documentation for certification associated to the autopilot but also providing support for complete system certification. Covering: documentation, tests and procedures, from small subsystems to the aircraft or to the system as a whole. 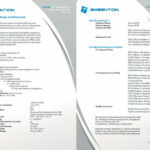 Within services offered, our experts will provide support in the areas of: certification management, meetings with aeronautical authorities, test definition, test performance, evidence development, procedure identification and draft, operation and maintenance manuals drafting, defining risk assessments and bow ties, etc. Embention has already collaborated in certification processes in different countries worldwide, being some of them: Spain, Italy, Switzerland, etc. Acquiring a strong level of expertise in the UAV, RPAS & Drone certification process, not only from the autopilot point of view, but also for the certification of systems as a whole (communications, structures, actuators, procedures, documentation…). Please, don’t hesitate to let us know about project. We will feel lucky to be able to provide support for the certification of your system.